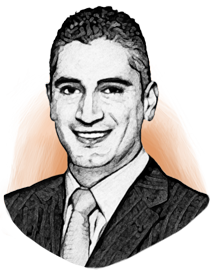 Zaher El-Assi has served as the President of Merge eClinical, a division of Merge Healthcare (NASDAQ: MRGE). Merge eClinical specializes in enterprise technology services and solutions for the clinical research industry through its unified, cloud-based study management and data capture platform, Merge eClinicalOS®. Under his leadership, Merge eClinical has become one of the leading solutions providers in the clinical research industry, with clients using its software to conduct trials in more than 80 countries around the world. Mr. El-Assi earned a bachelor of science degree in computer sciences from Northeastern University and studied at the Vienna International School.